← Amazon App Today’s Contest Answer. 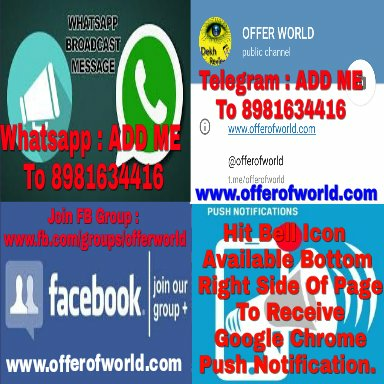 0.1 Hello Everyone, Join OFFER WORLD Whatsapp & Telegram BroadCast Chanel And Get Steal Deal, Loot Deal And Price Error Alerts Instantly. To Get Our Alerts, Simply Send WhatsApp Message “ADD ME“ To 8981634416 . Now It Depends On #Lazy Me When Will I Save Your Number And Add It To Alerts. Thanks! DO LET YOUR FRIENDS ALSO KNOW ABOUT US!!! Also Read Benefits Of Joining Telegram Broadcast Below (Scroll Down). Don’t Call On WhatsApp ( Serving More Than 7000 Members. So, Plz Help Us To Serve You Better ) Calling On Whatsapp = BLOCK. Drop Message, When You Need Some Urgent Help. We Only Post Loot Deals & Trending Deals ( Might Get Out Of Stock In Few Minutes ), So Avoid Knowing Us. Visit Our Blog And Join OFFER WORLD Facebook Group For Regular Deals And 24×7 Help. 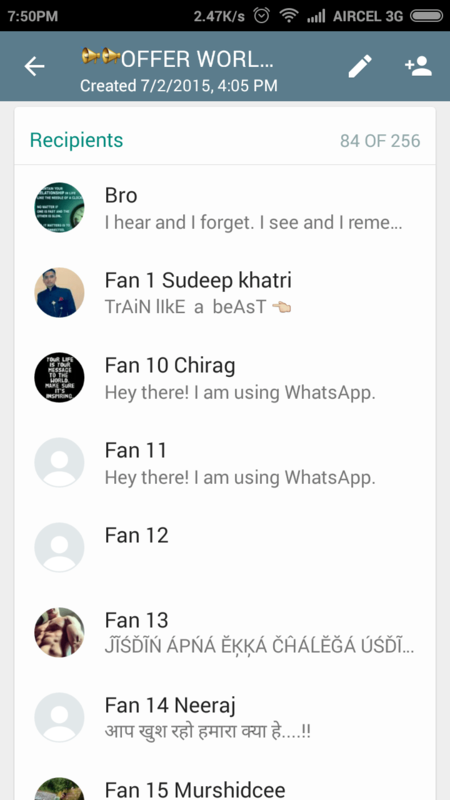 We Don’t Have Any WhatsApp Group. Most IMP Thing – Privacy – Telegram messages are heavily encrypted and can self-destruct. Mobile no. not showing on WhatsApp..? 1st Of All This Is Not Foodpanda Post. So, Comment Only On Related Articles Comments Section. Answer : Your Account And Device Are Blocked By Foodpanda For Applying Codes & For Date Error You Trying After Expiry Not On Time When Posted As I Apply All Codes Personally Then Post Here.